I really like the Free to Play business model. I have no problem paying for game content in chunks. It gives me the freedom to spend the amount of money I want on the parts of the game that appeal to me and that's awesome. 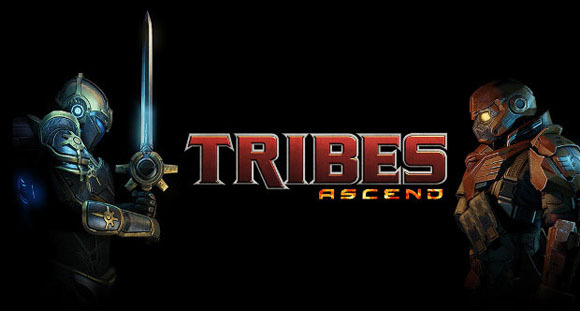 In the past few months I've spent money on content for Tribes Ascend and Hero Academy. 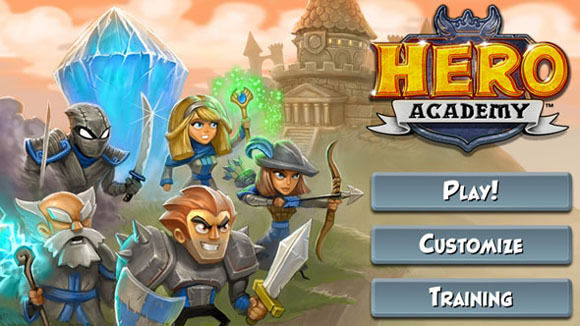 In Tribes I unlocked some classes and in Hero Academy I unlocked different teams to play with. In total I spent maybe $20 between the two games and it was money well spent. I unlocked some content and got to support good developers in the process. I'm planning on spending a little more money on both Mech Warrior Online and Mech Warrior Tactics when they come out this summer. Depending on what's available in the Guild Wars 2 store I may spend some there too. The coolest part of F2P games is that I don't have to spend money. These games are all designed so they can be played and enjoyed for free. But, once I play a game and have fun with it I want to support the developer while unlocking new content. I know in the long term this is how they'll stay in business. The flip side is that I can no longer stand subscription games. The idea of paying for game time seems like a horrible deal to me. Renting time instead of permanently buying content... that just seems like a rip off. And that's what it really comes down to, paying for time or paying for content. I have no problem paying for content. But, unless something unbelievably amazing comes along I don't see myself ever paying a subscription for a game again. For the foreseeable future I will most definitely continue to support the F2P model by buying game content in any game that I think is fun. I finally wrapped up my time with Final Fantasy II. It feels good to get another game done on my quest to complete all the main (numbered) Final Fantasy games. FFII provided me with around 25 hours of play divided mostly into 5 to 10 minute chunks. It was great for killing a little time here and there, even if playing it that way made the game take months to complete. I've already posted some thoughts as I was going along, but what do I think about FFII overall? Well, it's an improvement over the first game. I can tell that the designers were stretching themselves and trying new ideas which is always worthy of praise. There is an actual story this time, something that Final Fantasy I failed at. FFI had the general knowledge that bad things were in the world and needed to be destroyed. Final Fantasy II, on the other hand, had 3 main characters that get caught up in a rebellion against an oppressive empire (I already see precursors to FFVII). I find myself glad that my characters had names, friends, enemies, and families. It wasn't a party of Warrior, Black Mage, White Mage, and Thief. Instead, I got to explore the world with Maria, Guy, and Firion. 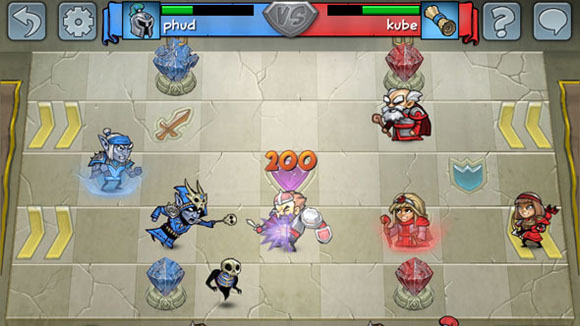 The fourth character slot featured a series of allies that came, went, grew, and died along the way. I'm greatful this game had a cast of characters instead of a bunch of generic NPCs. This skill advancement system must have been mind blowing when FFII was originally released. The idea that characters can only advance skills by using them is a departure from the standard "level up" system. It's amazing to me that designers are still trying to perfect it today. Just look at Skyrim, an RPG totally devoted to that system of advancement. 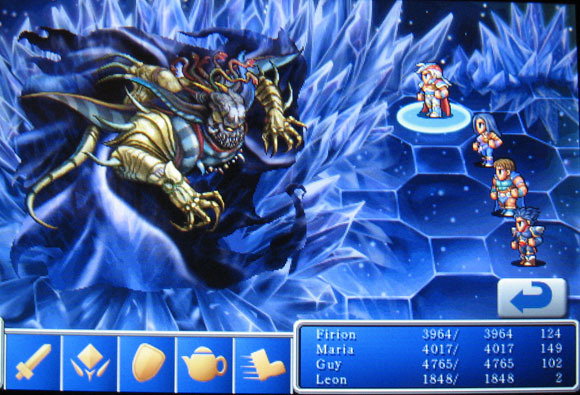 Final Fantasy II was another classic dungeon crawler that I enjoyed spending time on. I'm already having fun seeing the Final Fantasy series advance in small amounts. Next up, FFIII. As part of the newbie blogger initiative all of the sponsor bloggers are writing posts this month with advice about blogging. Definitely check the forum for links to a lot of helpful people. My biggest tip for you is to just start writing. Starting to type is the hardest part of blogging. The empty page is more intimidating than most people think. The sooner I can get a sentence written out the better off I am. If you can take a first pass at your post and get everything down on the page you're in a really good position. It doesn't have to be gold, it just has to be on the page. Which leads me to the fact that you can, and should, revise what you write. When I first started blogging I wouldn't always re-read or revise after I had gotten words on the page. That was a mistake. Now, I make sure to do at least one revision pass on everything I write. Sometimes I barely change anything, but other times it makes a world of difference. Once it's all down on the page and you've done at least one revision pass then it may be time to post. Some posts you'll want to let simmer in the back of your brain while you tweak them over the course of a week or two and that's fine. But for the most part it's better to post it for the world to see. Don't agonize for weeks over whether to post or not. Get your thoughts out there and get the discussion going. You can always write a follow up post later. Finally, write for you. People may read your blog, or they may not. If you are writing for yourself then you'll always be proud of your posts and it will feel good to get the thoughts out there. You won't overanalyze page views or try to maximize your traffic generation. You'll be writing about what you're interested in and you'll have a better following because of it. In my mind, the best example of this is my friend and fellow blogger Professor Beej. He writes about games, movies, tv, writing, reading, academics, pop culture, and random thoughts. His blog isn't constrained to a particular niche, but he has a loyal following because he writes about the things that interest him. Don't be afraid to do the same. Write what you want to. After all, it's your blog. Start writing! This month Syp is organizing a Newbie Blogger Initiative and all are welcome to be a part. This is your chance to start a blog and get a ton of support from the blogging community. If you've ever thought about seriously starting a blog or just trying it out to see if you would like it then this is the perfect month to start. There's a forum set up here that will have helpful information as the month goes along. It seems like there's going to be a lot of support, so don't be shy, ask for some advice or help on the forum. A lot of the bloggers pitching in are from the gaming community, but any blog is welcome. If you want to get started blogging I would recommend using Blogger or Wordpress. Both of them have free versions and are fairly painless to set up. Blogger is a little easier to use if you're new to having a web site while Wordpress has a ton of extra plugins and customization options that you can use farther down the road if you feel like it. It doesn't matter what you use, just have fun writing. Don't worry about your quality or quantity. Don't worry too much about grammer or punctuation. Just get some words on the page and publish your first post. Worry about refinement later.